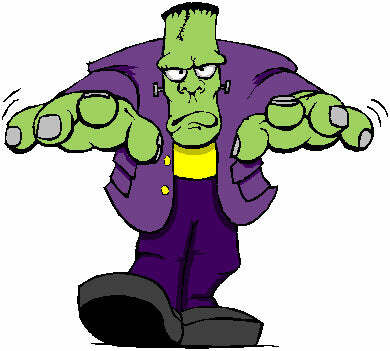 Maybe the most popular monster of them all, today is Frankenstein Day. 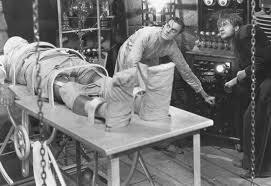 Everybody knows about Frankenstein—or thinks they do, anyway. However, this incredibly popular and iconic, ‘Halloween’ creature has been so warped by retellings and modern, Americanized, Halloween culture. Although everybody refers to this monster as ‘Frankenstein’, this is actually the name of the scientist who created the monster. And the monster itself doesn’t have any name at all. 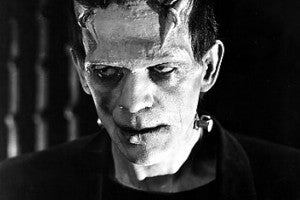 According to the original, classic tale, written by Mary Shelley, Victor Frankenstein, an advanced scientist, has understood the mystery of life and, in an attempt to create a perfect being, the scientist creates a terrible monster that follows its creator throughout great travels, haunting him. But this post isn’t about the story of Frankenstein. It’s about the story of the story of Frankenstein which began in the summer of 1816. Mary, her fiancée, her step-sister, and a friend went to visit a mutual friend they all had in Switzerland, Lord Byron—a famous writer. With drab weather throughout their visit, the group was forced to stay indoors. So, they passed the time by reading German ghost stories. After an evening of ghost stories, their host, Lord Byron suggested a writing contest in which everyone wrote their own scary story to see who could come up with the best one. Everyone jotted down a few ideas and went to bed to sleep on it. When Mary went to bed that night, she dreamt of a corpse that was brought back to life. And from that dream, she crafted the classic monster story ‘Frankenstein’. With so many retellings and adaptations that have been made since Mary Shelley’s original story, it’s no surprise that we have such a misconstrued conception of the Frankenstein monster. I posted a silent movie below from 1910—produced by Thomas Edison and loosely based on the novel. Enjoy! Happy Frankenstein Day and, as always, thanks for reading!